It is hard to believe we have come to the end of another year of ministry. Since 2006 God has taken Open Arms from one humble gospel outreach, led by my wife and I along with a half dozen volunteers, working with 30 or so children, based out of a store front in Brazil, to a growing movement in three states in Brazil and a new branch outside of Washington D.C. Today our 7 full-time “Agents of Hope” are the gospel boots on the ground bringing light to children living in some very tough circumstances. 2014 has been a good year for Open Arms and we want to share just a very few of the highlights with you. I pray that these will encourage you and validate your investment in this work. I pray that this good news might also inspire you to become involved, to pray, to volunteer, to share the Open Arms vision with your church and other churches you know, and be a raving fan of what God is doing among the children of the world. Thank you helping us to welcome the “little ones” in Jesus’ name (Matthew 18:5). This year we had the joy to add two more neighbourhoods to the Open Arms family. The village of Limão Verde is on a Terena Indian reservation in the Central West region of Brazil near the borders with Bolivia and Paraguay. There we have partnered with Pastor Jonas to assist his indigenous church in reaching other children of their tribe. 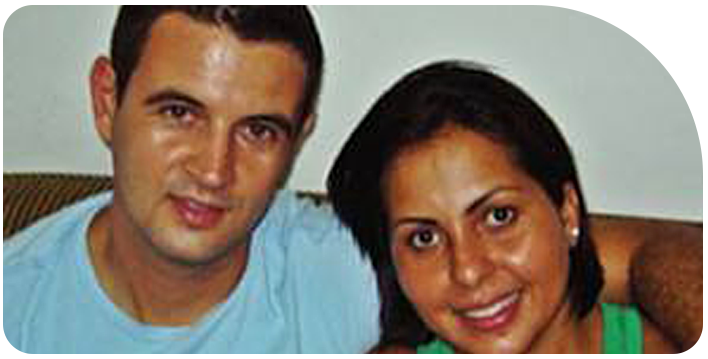 This partnership was the result of work by Open Arms Agent of Hope Sarita Romeiro. Sarita has a deep love for the indigenous children of the Pantanal and is already working on other tribal church partnerships in the region. 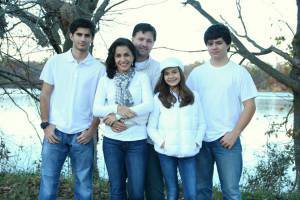 Candido Mota – In August of this year we added a long time volunteer, Mariane Rodrigues, to our team of full-time Agents of Hope. Mari has been with us since the very beginning in 2006. She has already opened our first ministry outreach in the town of Candido Mota working in partnership with Revival Church and the local Secretary of Education with about 70 children in her first group. 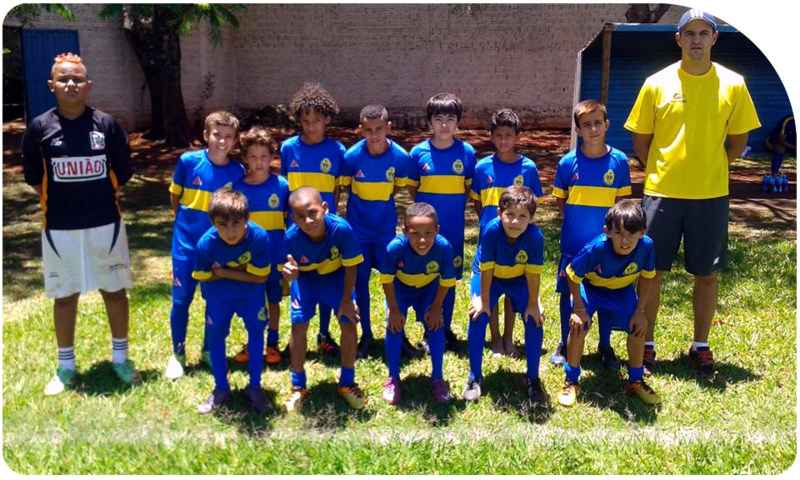 In 2014 our Open Arms soccer clubs added a boys indoor team in our headquarters city of Assis. We now have the largest youth soccer club in that city. Motivated by the lack of opportunities to compete regionally, two of our Agents of Hope, Neto de Souza and Eduardo Ribeiro, started a youth league of club teams from the region. It has proven to be another great opportunity to share Christ with kids through Brazil’s national sport. Our annual Easter Celebration, “Jesus makes all things new,” was our largest ever in 2014. There were dance performances by teams from different Open Arms neighborhood outreaches, a mini-soccer tournament, lots of food, and the children were even treated to a reenactment of the triumphal entry with a real donkey! 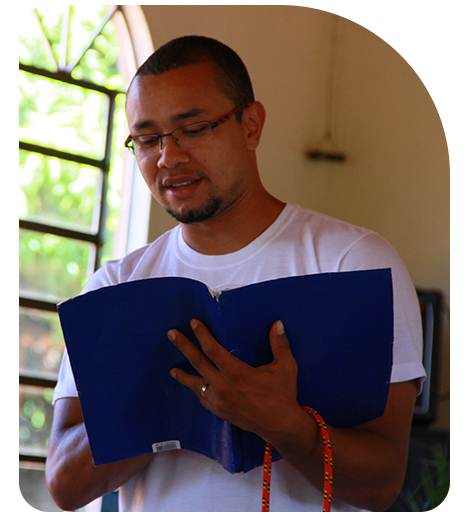 Our outreach to adolescents in youth detention in Brazil continued to thrive this year with a volunteer team of more than twenty from several churches carrying on a mentoring program, leading worship, Bible teaching, and recreational activities for the inmates. Project leader Eduardo Ribeiro is continuing to develop the team’s ability to do mentoring with these young people after their release as well. The name Zadok comes from 1 Chronicles 12:28 if you’re curious. This year the children of one church partner, Reston Bible Church, have decided to befriend the children of one of Open Arms locations in Brazil. They have written letters, talked via Skype, prayed, and taken a weekly offering that has already gone to purchase soccer uniforms and 100 Bibles! This is the kind of connection we hope to see replicated with other churches as well. There is nothing quite so exciting as to see kids following the same Jesus on different continents and different cultures coming together in unity. Equipping local churches to be the hands and feet of Jesus to the at-risk children in their own backyard is one of the primary activities of Open Arms. Only by mobilizing the body of Christ locally will we see the Kingdom manifest on behalf of children who have been left behind by traditional outreach. Here are some highlights from this year. In February our founders, Mike and Patricia Meyers, joined with Justice & Mercy Amazon in their annual Jungle Pastor’s conference. There were 40+ Pastor’s and their wives in attendance and the Meyers were able to not only teach on God’s heart for children, but also to assist other American pastors with translation. Mike & Patricia will be returning to the Amazon with JMA again this year along with Agent of Hope, Eduardo Ribeiro. In January our missionary in charge of our growing soccer ministry, Neto de Souza, held training for volunteers from several of our outreach projects to learn how to use the “beautiful game” to disciple young people for Christ. He covered topics from teaching basic skills to how to connect biblical values to sport. In November a team of Open Arms “Agents of Hope” from Assis, and one from the US, travelled to Central West Brazil to work with OAW regional missionary Sarita Romeiro conducting training for new and existing volunteer leaders from the Terena tribe. We had more than 60 people go through the training program and receive certificates. Sterling Park is a small community in northern Virginia that is home to a large population of new immigrants to the United States. This mostly low-income neighborhood is home to several “Title 1” elementary schools (majority of students on some Federal Assistance). The Lord chose Sterling Park as our first neighborhood outreach in the United States and so we got started in 2013 in partnership with Sterling Park Baptist Church. In 2014 we built off of that start and are continuing to build bridges into this little community and have begun to see fruit. Book Drive: We held our first book drive last Spring and through generous donations were able to provide each child in the school with 2-3 books to take home for the summer. For many of them this was the first book they have ever owned. Homework Club: Many of the children live in homes where both parents work long hours and many do not speak English. This makes homework especially difficult. In response we are staffing a homework helpers club to assist these students and have an opportunity to share God’s love with them in a concrete way. For the volunteers, the smiles and excited looks they get from the kids as they arrive each week makes it more than worth the time. 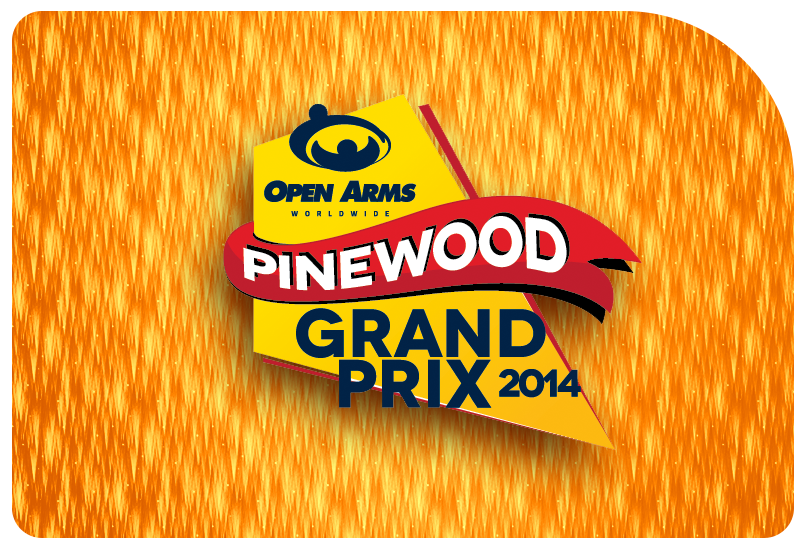 Open Arms – Sully Grand Prix: We ran an old-fashioned pinewood derby race for the children in the school. Car kits were provided free of charge and we held a workshop day where volunteers worked with the children building, sanding, and painting their racecars for the big day. In 2015 the school has asked that we expand that ministry and use time in Art class for the workshop. 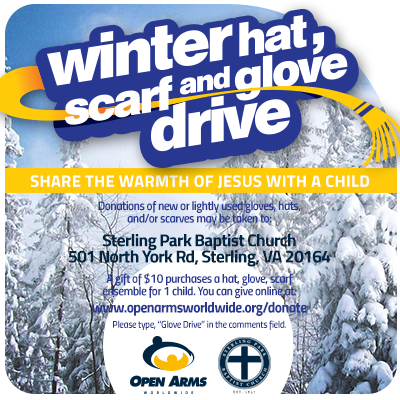 Meeting needs: Through this partnership Sterling Park Baptist Church has been able to offer access to their local food bank to the families of children at the school, and our annual winter hat, glove, and coat drive has ensured that the children are all snug when the weather turns chilly. Open Arms partners with Christian churches to implement and maintain gospel-based programs to reach at-risk children in the church’s local community. We do this in order to advance our vision of a world where all children grow up understanding that they are beautiful and precious in God’s eyes and are enabled to discover the hope and future that He has for them. Church partners are the backbone of this ministry. 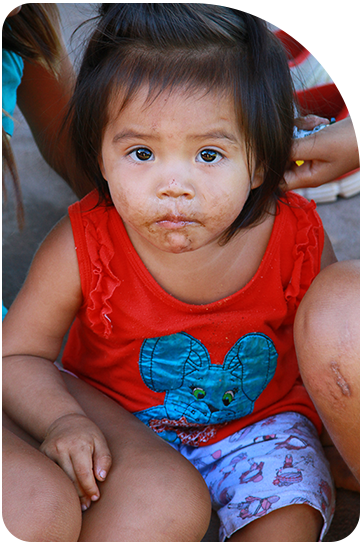 It is the church that supplies volunteers that make the difference in the lives of children. It is the church that has a lasting presence in the community, can provide for the basic needs of outreach, and has the answers for the hard questions of life. So we’d like to recognize our faithful church partners here. We’d love to see your local church on this list. So if it’s not, let us know how we can help you be a champion for the children with your church leadership. This year was a year full of work, thanks to God. In our soccer clubs we were able to help our teams become more competitive and today all of our age groups are able to play at the level of the best club teams of our region. More important than this is that the boys are learning God’s word and there is evidence of transformation visible in the lives of many of them. Five of our older teen players have actually become volunteers in our outreach programs in their neighborhood sharing the gospel with younger children. We are now taking many of the children with us to worship services at the Philadelphia Baptist Church. One of these children is Jasey. Jasey is 13 years old and has a very tough story. She witnessed the suicide of her mother in her own bedroom some years ago and has struggled ever since. One of the ways she acted out was with homosexual behavior. Jasey is faithfully attending services with us now and we ask for your prayers on her behalf. God can restore her brokenness! In another of the neighborhoods where we work we have been blessed to see Larissa, a young lady who was a participant in the first Open Arms program in Brazil (2006), come to faith in Jesus along with her whole family. They are now attending a local Presbyterian church and faithfully serving as volunteers in the program where she was once a participant. It is fruit like this that keeps us encouraged to continue on. Thank you for taking a few minutes to read through these highlights. For me there has been nothing quite so fulfilling as my experience working with this organization over the past 9 years. Having a front row seat for what God is doing in the lives of so many young people and adults alike is a privilege I would not trade for the world. We are starting our tenth year of ministry and I am just as excited as I was for year 1, maybe more so. If I could encourage you in some way this year it would be to invite you to join us in this journey. If you are already on the Open Arms team I encourage you to get closer. Pray with us, fellowship with us, be a Social Media Ambassador, volunteer, take a mission trip, attend an Open Arms event, or commit to being a monthly sponsor of this work. There are so many ways you can take part in the blessing it is to bless a child in Jesus’ name. You get so much more than you give. Trust me. On behalf of the Board of Directors, Agents of Hope, volunteers, children, and their families – Merry Christmas and have a joyful and blessed 2015!